Standing alone holding a glass of wine with no one to talk to. That’s me at almost every conference I attend. I go there with the specific goal of meeting interesting people, but instead I end up talking to people I already know. Or find myself stuck with the awkward soul right next to me, who is not likely to be the valuable business contact or precious lead I’m looking for. Sure, I could prepare better. But screening attendance lists, scouting LinkedIn profiles and setting up meetings takes days. Days nor I nor the other guests have. Conversation Starter wants to make sure you’ll never have to go through hells like that again. Their platform makes it super easy for event attendees to talk to people they want to meet, about topics they want to talk about. We met up with Conversation Starters’ sales hero Dries to talk about how they fill up their sales pipeline and how they use Salesflare to close leads. What is Conversation Starter all about? 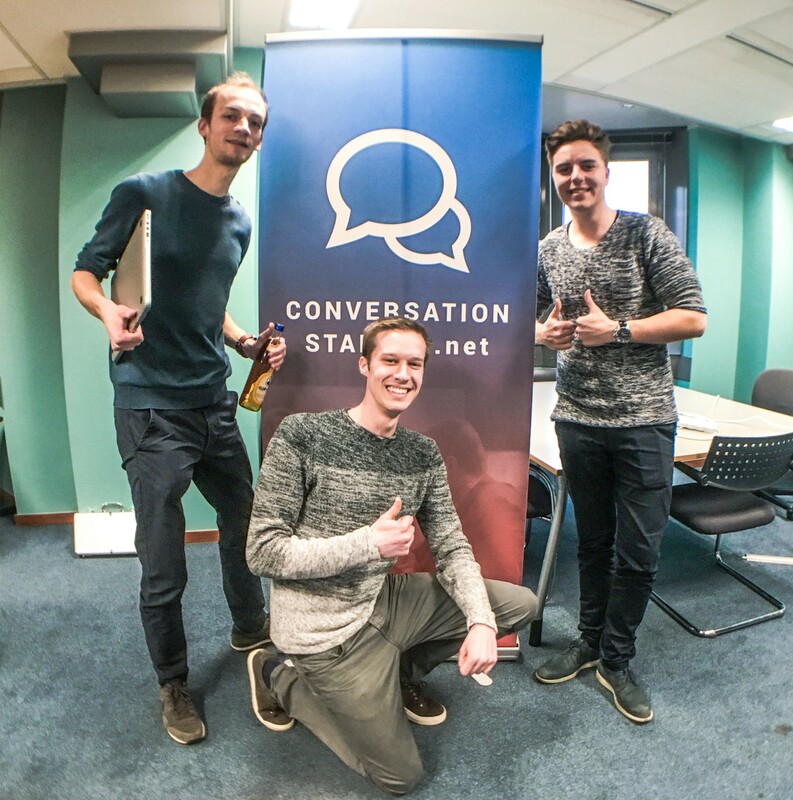 “Conversation Starter was founded by Rutger and Niels after years of organising TEDx events at the University of Hasselt. Year after year, they grew more and more frustrated with networking not going smoothly. There had to be a better way. How does Conversation Starter do sales? “The best leads we get from Conversation Starter itself. Fairs and conferences are often packed with other event organisers who like the tool and want to use it at their own event. There, the same thing happens. Every event gets us new leads and valuable feedback to further improve our tool. This ripple effect goes beyond event organisers. As soon as people enjoyed their first experience with Conversation Starter, they want to keep on using it at other events. They’ll promote us with event influencers and thus become active brand ambassadors for us. “We were using Close.io but we’re just so sick of having to manually input all data. For me, having to keep everything up-to-date yourself is the absolute worst part of a CRM. People don’t keep on doing that, making the CRM useless. It’s the world upside down. In Salesflare, that stuff doesn’t happen. Everything is always in place so you can focus on qualifying leads and getting them through your sales pipeline. I like that you can quickly catch up on an opportunity. One click and I know everything that has been said and done so far. This makes it easy to collaborate within the team and allows for effective accountability. “Early lead qualification is a big one. Wasting time and energy on bad leads can be damaging to your business so you’ll want to get from a huge sales funnel to a smaller, more qualitative one asap. We do this based on parameters such as event size, target audience and organiser resources. I am big believer of assertive follow-ups. At Conversation Starter we keep on following up until they say or yes or leave me alone. Most sales people tend to feel uncomfortable pushing through like this, but it works. For follow-ups, we call leads a lot too. People tend to not ignore you when you get them on the phone.